The course fulfills the requirements for the SSI Diver Stress & Rescue course. This one-day course is very focused on practical skills. You will practice until you feel confident. The course includes all the theory and skills from the basic level, but goes beyond this and includes e.g. snake bites, marine life injuries and Oxygen Administration. This course can be accomplished in a day if you have completed all the compulsory study guides previously. Often we will do this course in a leisurely 1&half; to 2 days. This is a hands-on course that will also benefit non-divers. The course covers the most common accident types and how to react in them. You will learn how to resuscitate, how to give first aid, as well as provide oxygen in emergencies. 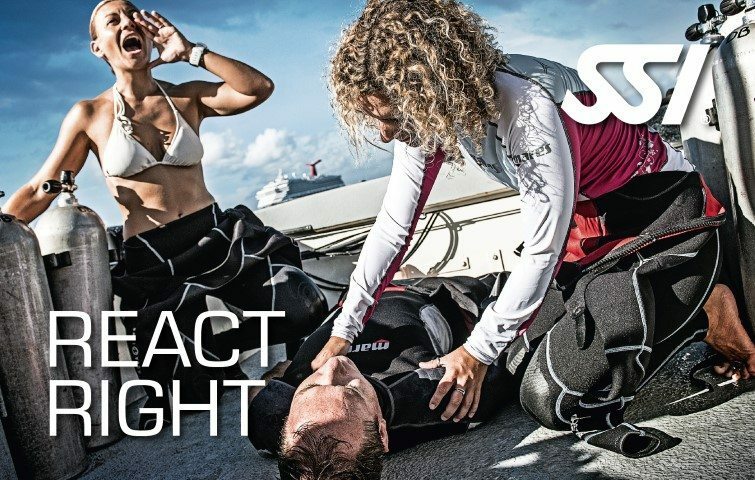 Moreover, you can continue on to the SSI Diver Stress and Rescue course, where first-aid certification is a pre-requisite.